Find parenting tips and links to resources specifically for parents. Resources include State and local examples. Presents concise, up-to-date information on more than 100 topics that impact children, teenagers, and their families. The collection is available in English and Spanish, and six other languages. Provides a booklet for parents with fun activities to share with their children. The booklet contains activities for parents and children to do at home, away from home, indoors, and outdoors. Highlights The Incredible Years Parents, Teachers, and Children Training Series, a comprehensive set of curricula designed to promote social competence and prevent, reduce, and treat aggression and related conduct problems in young children (ages 4 to 8 years). The program components are guided by developmental theory concerning the role of multiple interacting risk and protective factors (child, family, and school) in the development of conduct problems. Promotes healthy child and family development by providing parents with science-based information on parenting topics relating to children's minds, bodies, emotions, relationships, and more. Provides an online community of leadership, knowledge, and resources to members seeking support with parenting issues. 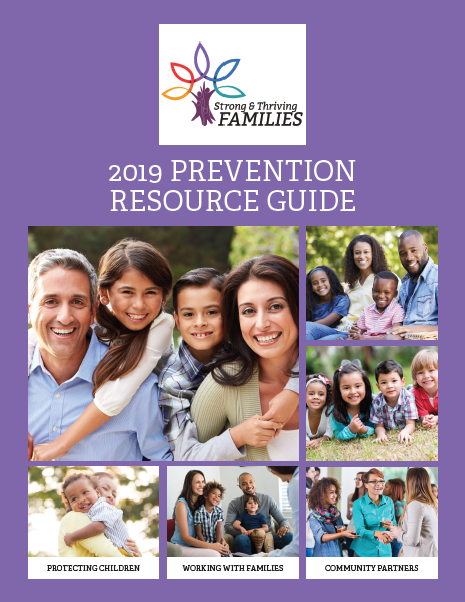 Includes product catalog, training resources, research, and validation, and related links for the Nurturing Parenting Program, which promotes nurturing parenting attitudes and skills for the prevention and treatment of child abuse. Presents a collection of resources for parents designed to help them tune into what makes their children tick and guide them in how to best meet their child's needs. Effective parenting information for dealing with discipline, rules, schoolwork, and other family situations. Also available in Spanish. Addresses parenting from a mental health perspective and provides links to information on children and mental illness, where to go to get help, and how to find support for parents and children. Materials and information on programs for military parents. Provides information for parents to learn about their children's development, positive parenting, safety, and health at various stages of a child's life. Programs, brochures, articles, and other resources to become a better father. Lists State publications that describe child welfare services and provide guidance to professionals and families. Search using the provided options. Advice for new moms and dads and information on discipline, safety, education, recognizing child abuse, and leaving children home alone. Includes information for parents on stress, parent-child communication, discipline, child safety, parenting tips sorted by age, and more. Explains the incidence of child sexual abuse and provides information on types of child sexual abuse, characteristics of perpetrators of child sexual abuse, children sexually abusing other children, tips for protecting a child from sexual abuse and reducing risk factors, symptoms that a child has been sexually abused, and steps to take if a child discloses sexual abuse. A list of reporting, prevention, and treatment resources in New York State is provided.